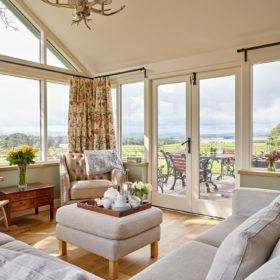 Life here on the edge of England’s Lakes is a heady stew of high hills, hearty comforts and dog-friendly pubs peppered with shepherds and rat-race escapees. 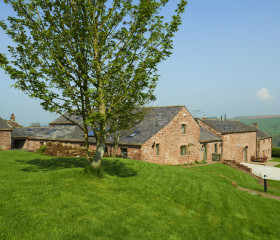 Walk the fells, fire up the Aga, get the logs crackling, play some snooker, sink some fizz. 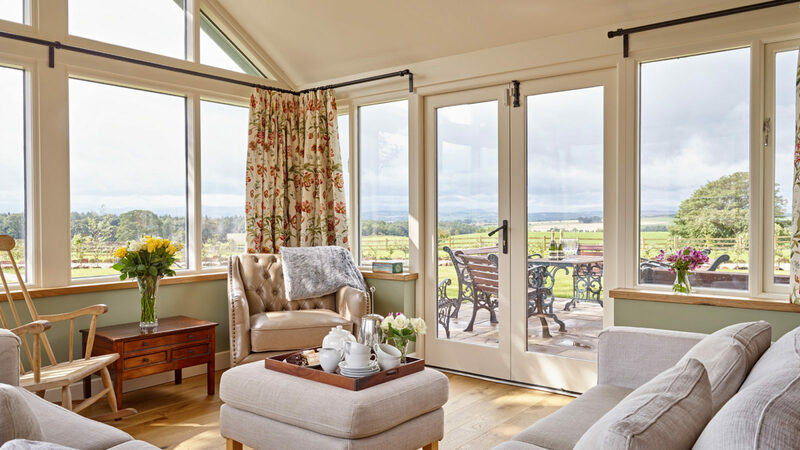 Retire to delicious bedding, rolltop baths and the heavy silence of the northern hills. Come to the edge of England’s most beautiful National Park. 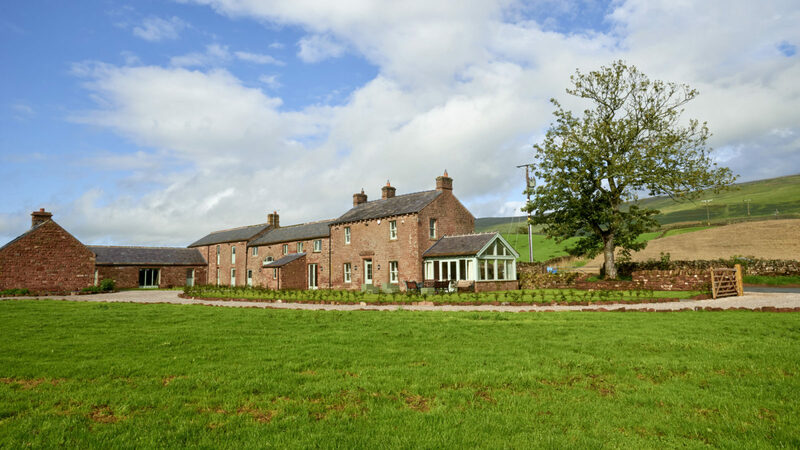 Life here in the Northern Lakes is a wholesome stew of luxury living, country walks and pubs with bulging specials boards, real ale aplenty and dogs sprawled by the fire. 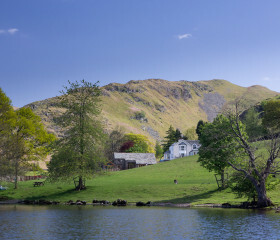 Climb the fells, track down the waterfalls, guzzle the biscuits from the local bakery. 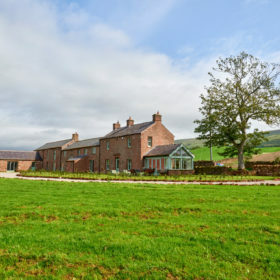 Eden Valley Hall Farm sleeps 12 in the shadow of towering Cross Fell and across the Eden Valley from Blencathra, snuggling tightly against the North Pennines and its upland trails. 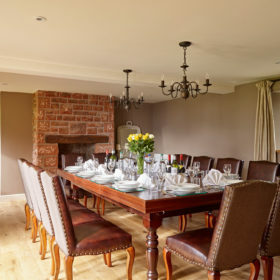 In the quiet nearby village of Melmerby, shepherds, farmers, writers and artists sit by the Shepherds’ Inn’s well-stoked fire, quaff real ale and down hearty food. Back at base, there’s a sense of cosy luxury that begins beneath your feet, warmed by wonderful underfloor witchcraft. The crackle of burning wood from two homely stoves adds to the wholesome comfort. Stock up on seasonal stuff from the Melmerby village store, fire up the Aga or Weber terrace barbie, feed your flock and get re-acquainted. After dinner, pile the pots in the Bosch dishwasher, pick a wine from the cooler and convert the table into a half-size snooker table. Chuck some more wood on the fire, top up your glasses and make a night of it. 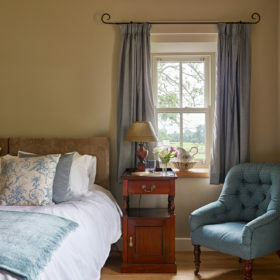 Retire to deep, delicious bedding, rolltop baths, en-suite bathrooms and the peaceful silence that hangs over England’s northern hills. The clear Lakeland air demands a terrace. A place where you can spark up a barbecue under the summer sun, crack open some fizz, and stare at the sparkling skies at night. 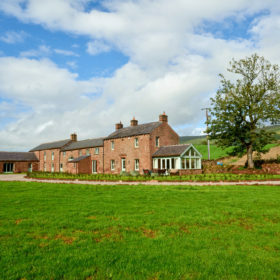 It’s there, in beautiful sandstone, with a view over Helvellyn and Mell Fell. Wrapped around the conservatory and terrace are two acres of greenery that serve as a tasty prelude to the grandeur that unfurls beyond the gates. 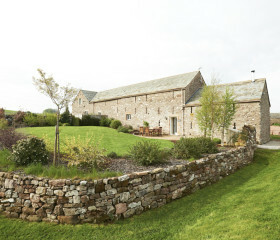 Explore, enjoy, be intrigued by the 18th-century courtyard garden with Cumbrian millstone. Bring your kids, bring your dog. Introduce them to unfettered freedom. 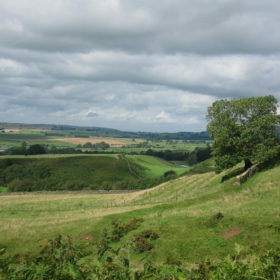 Yomp the fells, take a hike to meet Long Meg and her daughters or up to Aira Force waterfall. Feel the elements on your face, let the hills leave you with legs like lead, then come home, knock the mud off your boots and sink into real comfort. Light the stoves, recharge your glasses and remember what matters. 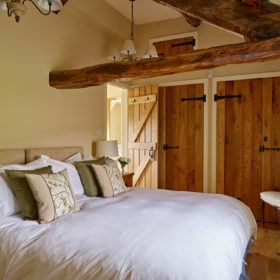 Beneath the mighty oak beams and vaulted ceilings, everything is versatile, practical and impeccable. 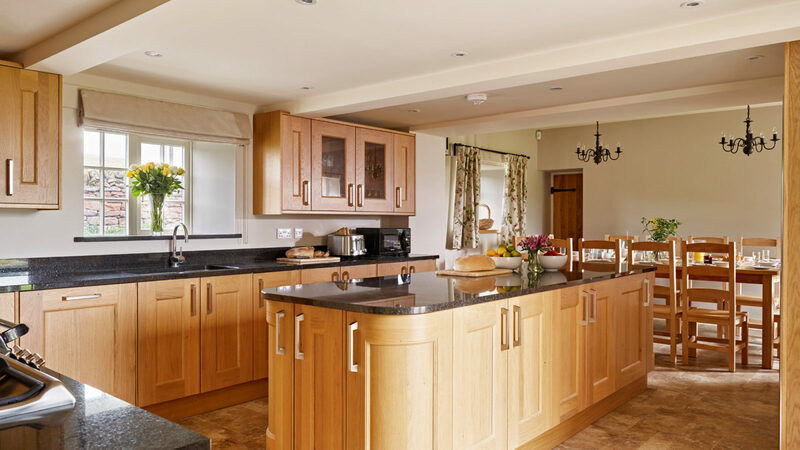 Oak-ledged and braced doors sit alongside oak flooring kept toasty with a ground-source heat pump. 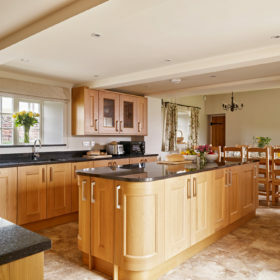 Local stone, traditional colours and acres of chunky oak complete the homely picture. Divide your time between the sun room and the lounge. The wine chiller and cafetière are on hand to suit your mood and there are logs to be lit. 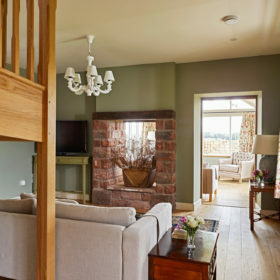 Kick off your shoes in the cloaks, point your toes at the fire, tap into the fast wifi or cosy up and get a movie going. 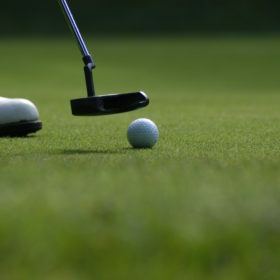 For fun and games, there’s snooker on tap when you uncork the dining-room table. Stock up on local veg and meats from the stores in Melmerby and Langwathby. Add a few goodies from the Old Village Bakery and the Penrith Toffee Shop. 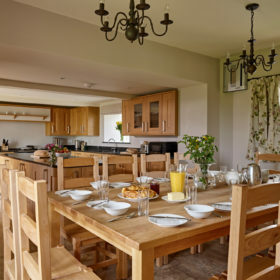 Then fire up the Aga, pick some wine from the chiller and then get together around the handmade oak table in the kitchen/diner, clink glasses and tuck in. In the dining room, there’s a snooker table thinly disguised as a giant dining table. It’s perfect for more-formal dining, beneath the beams and spotlights in leather studded chairs with the fire glowing brightly. Make a meal of it if you like, get your glad rags on and call up our chefs from Lynn Hilditch or Sarah Eckroyd. Eating out? Melmerby’s Shepherds’ Inn, haunt of farmers, hardy locals and those who’ve given city living the boot, is always on hand for a roast or a shepherd’s pie (naturally), washed down with cask ales or craft gin. There’s a namesake pub in Langwathby. Will it be wagyu burger or chargrilled ribeye? Head to the George and Dragon in Clifton, a restaurant that works with the seasonal cycle of life in its gardens to feed a mouth-watering tasting menu. 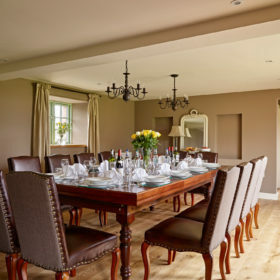 Or perhaps Dockray Hall in Penrith, serving modern British cuisine such as roast hake and beer-braised feather blade. 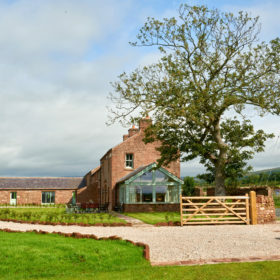 For foodie perfection, Cumbria is home to five Michelin stars. If you feel guilty at the idea of luxury on tap, feel free to earn it. 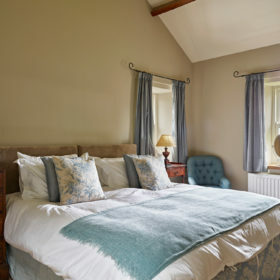 Climb the six peaks of Saddleback, say hi to Long Meg and Her Daughters, then come home to bedrooms fit for royalty. 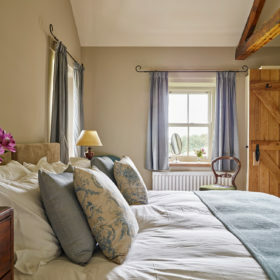 Dip your aching limbs in a polished steel lit-bateau bath, then burrow down among crisp sheets in a four-poster bed beneath ancient oak beams. 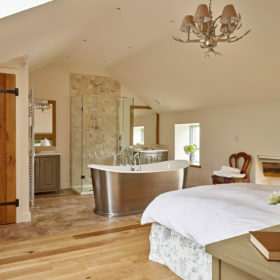 All six bedrooms come with oak stable doors that take you through to luxury modern en-suites. 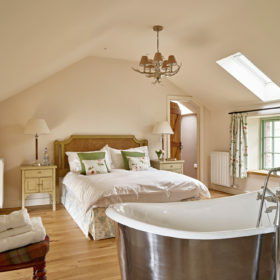 Revive under rainfall showers or cast-iron baths and luxuriate in your own slice of spa. All bedrooms sleep two. Bedroom one, on the ground floor, is a superking that converts to singles with zip-and-link, while bedroom two is a five-foot kingsize. 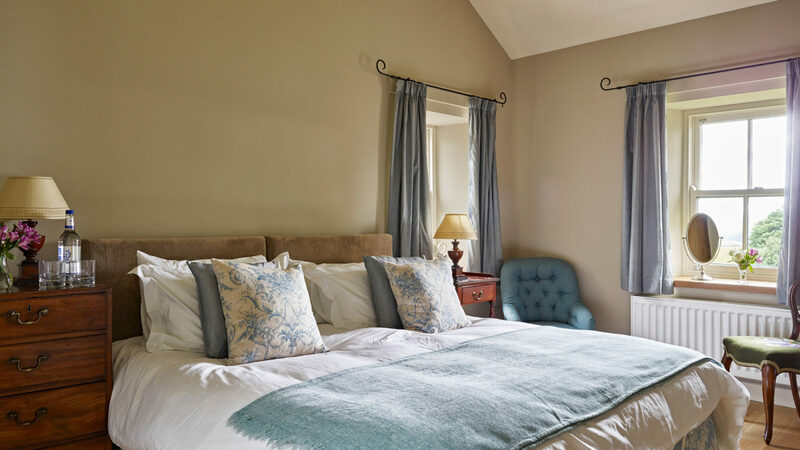 Bedroom three also comes with kingsize bed, with full bathroom, while bedroom four and six offer a zip-and-link superking. Bedroom five is another five-foot kingsize. 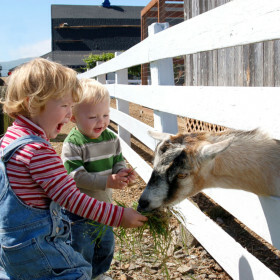 Kids can see local history at the Penrith and Eden Museum, watch the goats race at Walby Farm, or walk with wolves at Predator Experience. 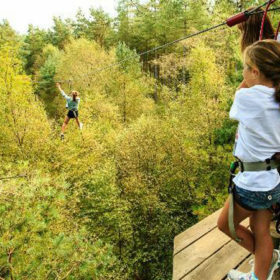 Grown-ups can get a spa fix at North Lakes Hotel, shoot 18 holes at Penrith, Go Ape at Whinlatter, or just potter the coffee cafes and antiques emporiums that dot the ancient cobbled streets.